How many of you are looking for different ideas for a main feature for your yard's landscape? Here at Everything Waterfalls, we have you covered with some very impressive backyard waterfalls for the garden, patio and swimming pool landscapes. Our custom made artificial waterfalls, designed for the home owner in mind has excellent features for user friendliness, maintenance easy and a perfect do it yourself family project. The large garden waterfalls LEW-004 is designed for many unique uses from the backyard, to the patio and even to the swimming pool. This spectacular waterfalls rock stands about 29" high while having a length of 57". Our unique blend of artificial rocks brings the fun back to your home's landscape with an infinite amount of creative waterfall ideas, choices and combination kits. This beautiful waterfalls also called the Spirit pool waterfalls can also be used with our uniquely designed two piece patio ponds. What makes our waterfall designs so fantastic for the backyard, patio & pool garden landscapes look so amazingly real? 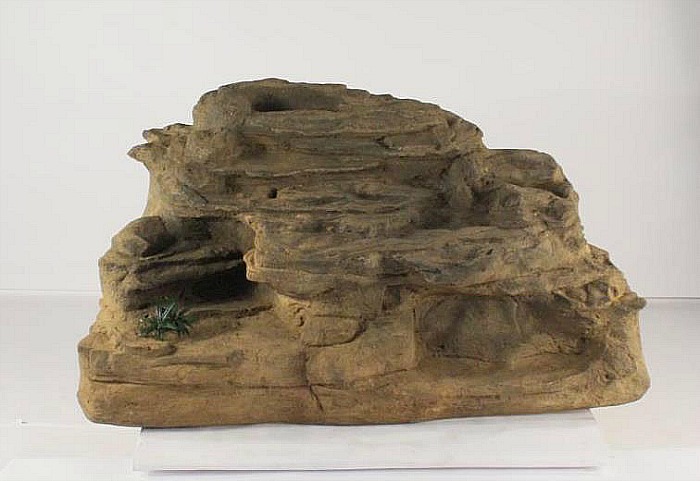 Our artificial rock waterfalls are castings from real rock formations showing off nature's true beauty and exceptional rock detail from many years of climate weathering and erosion sculpting. This is an awesome way to capture nature's art through the beauty of a waterfalls for your very own water feature creation. This garden waterfalls only weighs a mere 48 pounds while real rocks could be estimated at about 5,076 pounds. 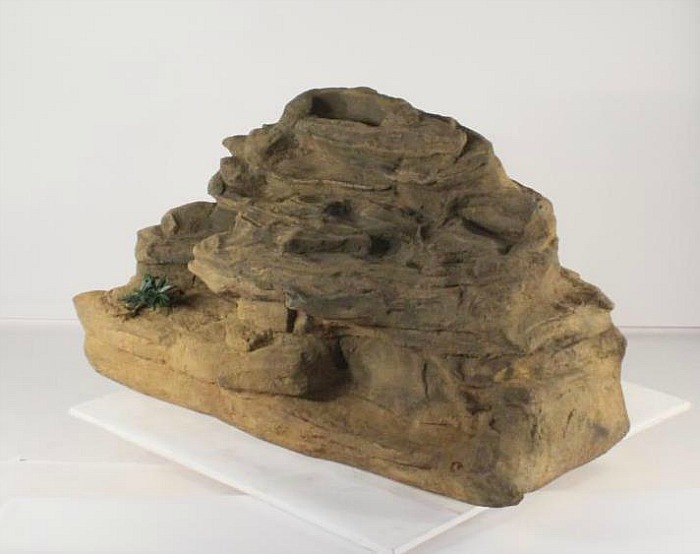 These rock waterfalls are constructed from a unique combination of polymers with excellent strength properties and lightweight characteristics for the ultimate outdoor waterfalls. 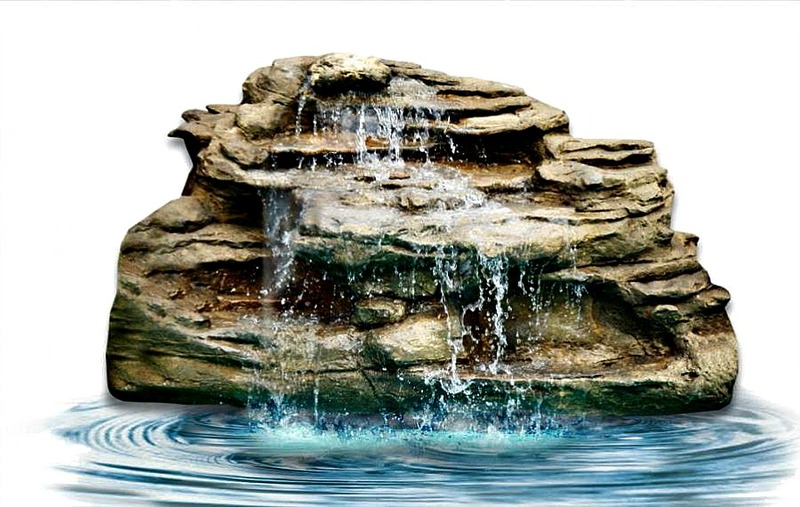 With our artificial rock waterfalls we can make your waterfall dreams finally turn into reality for your very own exquisite water garden oasis. Nothing's more enjoyable for the home's landscape than a special waterfall feature of tranquil & relaxing sounds of a real waterfalls.